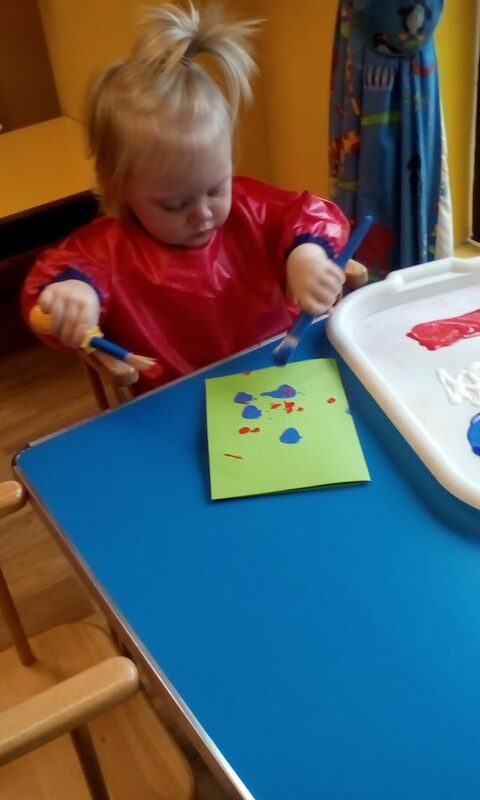 The Ladybirds have been exploring early mark making by exploring paint. The children have been provided with a range of tools to use to make their marks, which included brushes and sponges. Throughout the activity the team talked to the children around the different colours and the variety of marks left behind.